Cruise departs 1pm returning at 4pm on the first Tuesday in November. Watch the greatest horse race in Australia while enjoying lunch as you cruise the Hacking aboard the TSMV Gunnamatta. A large screen tv will be on board to catch all the action of the Melbourne Cup. Cocktail food will be served throughout the cruise. 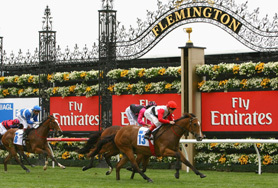 The all inclusive cost of the 3 hour Melbourne Cup Lunch Cruise is only $70 per person.